Senior Franchise Development Manager, CMIT Solutions, Inc.
Lisa and her team work with all of those interested in pursuing business ownership with CMIT Solutions. She guides people through our franchise discovery process, assuring that CMIT and prospective franchisees learn about the business and goals of each so that they can make an informed decision about entering a business relationship. 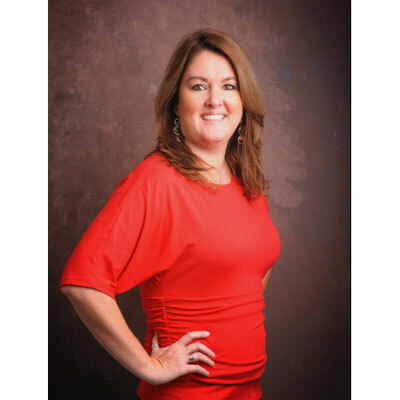 Prior to joining the CMIT team in 2008, Lisa worked with another franchise organization in the Austin area. Lisa and her husband James have five children between the two of them: all grown and now moving on with their lives, the youngest is a senior in college. She also participates in competitive ballroom country dance competitions where she has earned 4 World Championships. Lisa and James are also very active in their church community at Life Austin. I have worked alongside several hundred people the past year working with them and vetting their ability to grow and build a CMIT Solutions franchise in their area. This process takes about 90 days to complete and determine if we want to partner together. It's tough having the hard conversations about what people can and can't do. So being honest and helpful is key. I also have a young man who's joined my team and I have been coaching him to take people through this same process and double our efforts. I want to impart these same philosophies to him as he starts his career in the IT Franchise space. I also have a young woman who's joined the team and we've recently moved her into a more demanding role of maintaining our systems and support for this 90 Discovery Process. She is stretching and learning new skills and doing an awesome job. We are currently looking for another team member to work on finding entrepreneurs who may join our franchise. We continue to grow our solutions and are focused heavily on security solutions and finding the right entrepreneurs to join our growing brand of MSP's across the US and Canada. We strive to position our franchisees with the best support and solutions so they can focus on helping small businesses in their own local communities. I've been blessed to work at the same company, CMIT Solutions, Inc, for the past 10 years. We're a relatively small organization within the channel producing lots of entrepreneurs in the channel sector. I received a Rolex for my 10 year anniversary as a thank you for the dedication and hard work to grow our franchise from an emerging brand with around 100 locations to a growing brand with almost 200 locations and counting. It's an honor to be the longest employee with the company and make such a difference in people's lives. Jacquelyn Kennedy Onassis was quite an inspirational woman. She endured one of the most traumatic events anyone can face, the murder of their spouse instantly becoming a single mom with two children. She persevered never blaming anyone for her circumstances and always rose to the occasion and was the best Jackie she could be. She always maintained a beauty and grace that was remarkable. She championed causes to ensure the integrity and preservation of the White House. She always thought of others and consequences of her actions. Never give up on your dreams. Never say quit never say die. Love with all your heart and never hold back. Never sell yourself short always have confidence in yourself and what you believe in. Help others and always remember God is on your side no matter what you're going through. When you hear about these little companies, Dell, Intel, Amazon and Google buy in and enjoy the ride. I rely on my younger millennial teammates to help me with specific excel skills. I use this software a great deal in my job however I couldn't build an excel spreadsheet very quickly or efficiently. I realize I have team members to put these together for me however I think it would be nice if I could be more efficient with this program. Selling with Noble Purpose, Lisa Earle McLeod. This book is a great motivator and getting you back to the why you do what you do and doing it the best you can for the benefit of all. A lot of people are not sure why they sell or do what they do and this book gets you back to the basics of caring about what you do and why and who you serve.